Locks At 38, 44, And 50 Inch With Push Button Locking Mechanism. Collapses To 29 Inch For Storage. 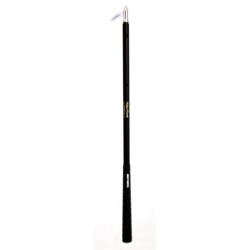 Features Comfortable Golf-Style Grip And Durable Glass Filled Aluminum Shaft.